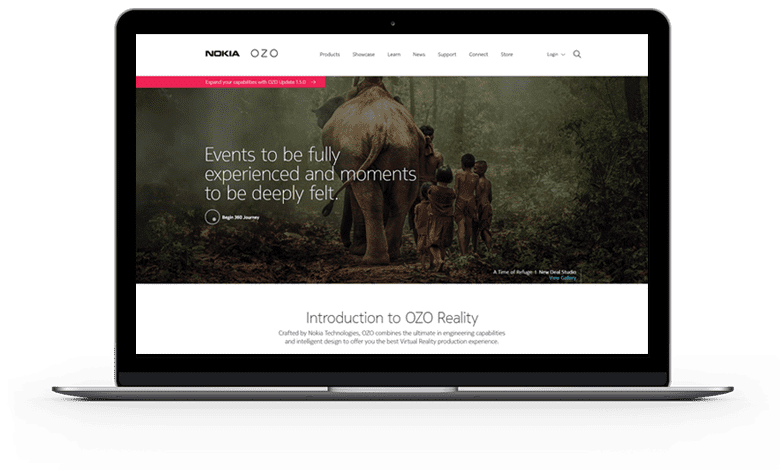 We partnered with Nokia to re launch their Digital Strategy for VR business unit. A full digital strategy was executed including, website, media assets, content and lead generation programs. In order to deliver an experience similar to the OZO camera and software solution we had to come up with a immersive solution. To achieve this we created a website that has delivers straight forward the business solution for VR content creators as well a introductory storytelling for consumer interested in the VR world. 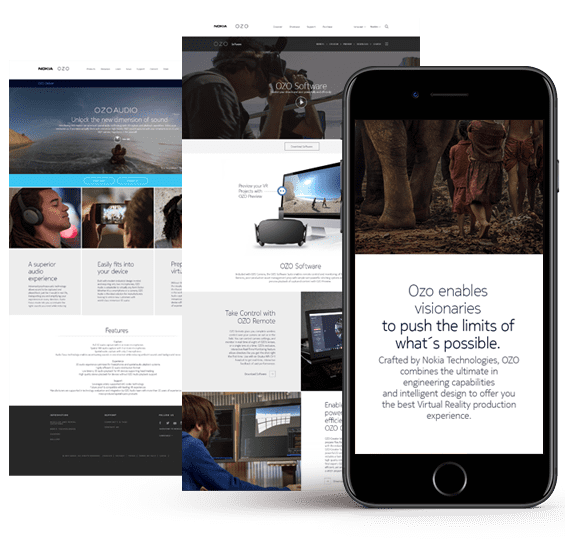 We created a full digital strategy including a new redesign website with content, images and videos, new navigation process for users to discover the power of VR, self explanatory graphics and unified checkout process unifying software and hardware purchases.